There are many different types of gyms out there for you to choose from and you might find asking yourself this: what gym is the best for me? If you want to improve your boxing skills, your best bet is to go to a gym that is focused on boxing. In a regular gym, there can be many limitations that might slow down your progress such as other unrelated activities, too many people, and not enough boxing partners. But, what really gives you the REAL boxing experience is the coach. Without a good trainer, all the equipment is not as useful and training is not as exciting. 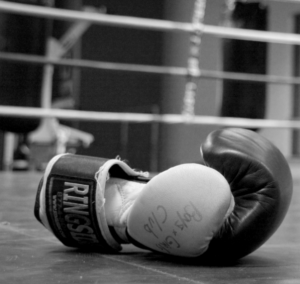 So, what makes a good coach and a good boxing gym? Today we will discuss exactly this. A good boxing coach knows how to keep an energetic atmosphere up and makes his students steadily progress with agility. Being quick and able to last is paramount at our boxing gym in Vaughan. We are focusing on how you can dodge the punches and continue fighting. In other words: stamina is everything. We do a lot of cardio & ab work so that you have what it takes to last those rounds. You will be surprised how fast you run out of breath in the ring. Do you want to see your durability? Come by & check it out at our gym. Also, a good boxing coach knows how to switch things up and make sure there is never a dull moment while you are training. What does that mean? He has a keen eye for redundant practices and slow progress and corrects it as you go along. Our main coach, Alex, makes sure that members remain focused on their goals and attain real boxing knowledge rather than making their training sessions just some routine that you come in & get out. We make sure that you leave those doors knowing or improving new techniques that you have learned and can apply them elsewhere. An energetic atmosphere is key when it comes to making good progress and having that real boxing experience that you are looking for. At our gym, there is never low motivations. We are here to break barriers, to achieve goals and make sure that you have the boxing frame that you were always looking for. In other words, we want to transform you into all the best you can be; into a dense & fit individual that can withstand those rounds, punches, and challenges that you will face as you progress along down your boxing training process. The real boxing gym experience, that is what we are dedicated to provide you with. We are specifically trained & focused on delivering you the knowledge & understanding of this magnificent, yet complex sport. We are always looking forward to be training you and keeping a 100% can-do attitude. Classes are available to anybody who wishes to improve their boxing skills and overall health. If you are interested in attending our boxing training, please do not hesitate to contact us today and we will get back to you as soon as possible. As always, stay healthy, strong and ambitious because they're is no telling how far you can go. See you HERE & stay tuned for more boxing/ fitness related info, news, advice and much more from the Golden Gloves Fitness team.